If you have the ability to move, even if it is from a wheelchair to an airline seat, you may not have realized that airline travel is not an option for those individuals whose cannot make the transition. Recently, the Muscular Dystrophy Association has been working on making changes to travel accommodation for individuals with disAbilities. In two recent posts, they have articulated changes that would improve life for the mobility-challenged and the current challenges. In addition, you will find useful links. 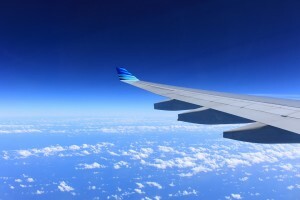 Access to air travel is an important element in living life without limits. The ability to travel by air impacts many aspects of life including options for employment, education, and whether you can get back and forth from a clinical trial or a specialist’s office that is far from home. October 2016 is an important milestone in accessible air travel as it marks the 30th Anniversary of the Air Carrier Access Act (ACAA), which requires equal access to air travelers with disabilities. The law explicitly prohibits discrimination against travelers with disabilities, and applies to both domestic and foreign air carriers who operate in the U.S. A few years after the law was enacted, the Department of Transportation (DOT) issued rules and regulations governing the application of the ACAA. These rules define the rights of passengers and the requirements of the airlines under the law (Title 14 CFR Part 382). You can read the full text of the rules here, or a summary of the rules here. In addition to MDA’s dedication to funding research and providing multidisciplinary clinical care, we are also passionate and committed advocates for the families we serve. Together, we advocate for increased federal funding for biomedical research; for access to clinical care, support services and equipment; and for policies and programs that help ensure access to the resources and services necessary to maximize independence and pursue a life without limits—which includes accessible air travel. The ability to access air travel impacts many aspects of life—from the kind of job you can have, to where you can live, to whether you can access a provider or participate in a clinical trial that is far away from home. As the 30th Anniversary of the Air Carrier Access Act (ACAA) approaches, MDA celebrates the great strides that have been made to increase air travel accessibility. In the three decades since Congress passed this landmark legislation that requires equal access to air travelers with disabilities, the law has permitted thousands of MDA families to travel more freely – something that would not have been possible before the ACAA. MDA also appreciates the efforts that air carriers have made to help disabled passengers access air travel. In light of the many positive changes that have taken place, however, disabled passengers continue to face significant challenges—and we recognize that there is still work to be done. MDA is working with policy makers, industry, and other stakeholders and disabled travel advocates to support increased accessibility to air travel. A few of the ways that MDA is engaged include sharing information about resources available to disabled air travelers on our Accessible Air Travel webpage, partnering with airlines to provide feedback regarding the information they provide to disabled passengers, and participating in the Transportation Security Administration’s (TSA) Disability Coalition. Create an advisory committee with diverse stakeholders to investigate and report to Congress on the needs of disabled passengers. MDA particularly supports the concept of a study to examine ways that wheelchairs could be accommodated in-flight through the use of cabin wheelchair restraint systems. The potential for disabled passengers to remain in their wheelchair in-flight is important as travelers must currently transfer multiple times—even when taking a direct flight. In fact, up to five transfers per flight segment are required for many passengers—from wheelchair to aisle chair, from aisle chair to airplane seat, from airplane seat back to aisle chair, and from aisle chair back to wheelchair. Such transfers are especially challenging—or even impossible—for those living with muscle debilitating diseases, and each transfer comes with the risk of injury. The potential for a disabled traveler to remain in his or her wheelchair in-flight is imperative to study as such an approach could not only potentially enable safer travel, it could also significantly decrease damage that occurs to wheelchairs when they are placed in luggage/stowage areas for transport. I greatly enjoyed your Blog and it brought it home to me how lucky I am to just have Rheumatoid Arthritis and go very slowly up plane steps and sit in an ordinary seat! But as the disease progresses, I can quite see the points you are raising when having to take your own wheelchair becomes a necessity. Keep up the good work ! I shall be blogging about rail travel and boat travel, both of which I can still manage. Thank you. Life is a journey itself. So, your posts about train and boat journeys are great analogies. I look forward to reading them. Until I was married I had never given that much thought to the possibility of flying again, on my feet and two visits to India were fantastic but these days, I always avoid my husband’s tactics in trying to persuade me (he is from the USA). The last time I looked into it I was fraught with impossible scenarios. The upshot would be we would have to plan routes very carefully with plenty of stop overs. Air travel is a nightmare of logistics for the mobility challenged. The airlines could help by making more accommodations. Sorry that you have found it too stressful even at the planning stage. I think also the numbers have increased, why can’t they catch up? It is at the moment a win win for me- I am not ready to go lol. I am off to bed at this late hours. G’night, Rose and tc..
😀. Good night, dear lady. Next Next post: Using organic strawberries (no pesticides) and Himalayan pink salt, this fresh take on guacamole might be just right.